Ford is building the new Lincoln Aviator and Ford Explorer at its Chicago Assembly plant, which required it to hire an additional 500 employees and make a sizeable $1 billion investment in the region. The automaker has hired on 500 more employees between its Chicago Assembly and the supporting Chicago Stamping plants, which will be tasked with building all variants of the new Aviator and Explorer – including the hybrid Aviator Grand Touring, the high-performance Explorer ST and the police-spec Explorer Police Interceptor. With this recent round of hires, roughly 5,800 workers are currently employed at Chicago Assembly and Chicago Stamping. Ford has also invested $1 billion in the sites, with $40 million alone going to making Chicago Assembly and Stamping “better places to work,” with new LED lighting and cafeteria updates, new break areas, and parking lot security upgrades. 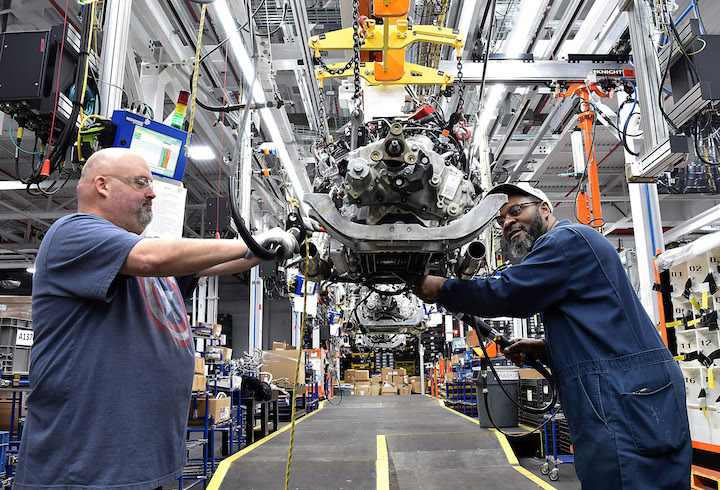 “Every day UAW Ford members head to work, proud of the products they build and the craftsmanship required in vehicles like the Explorer, Aviator and Police Interceptor,” added UAW Ford department leader, Rory Gamble. The Chicago Assembly site is Ford’s longest operating vehicle assembly plant, with production commencing at the plant in 1924 with the Ford Model T. It remained operation during World War II, converting to support production of the M8 and M20 armored personnel carriers. Production of the new Lincoln Aviator and Ford Explorer at Chicago Assembly is already underway. I expect the new hybrids are being manufactured here, too. I am waiting for the 2020 Ford Explorer Hybrid reviews before deciding to buy one. Hope they offered the new jobs to GM employees from the closing plants. I’m waiting for a hybrid pick up truck. All EV won’t cut it for my needs.